The Western Washington macro-invasive plants. 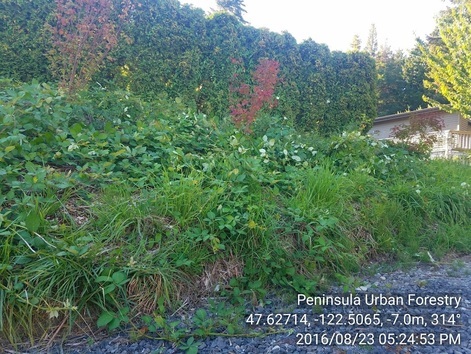 Our invasive blackberry and the ornamental ground cover English Ivy are serious threats to native vegetation. The density and abundance of English Ivy on the ground prevents other plants and trees from growing up and out of the ivy. 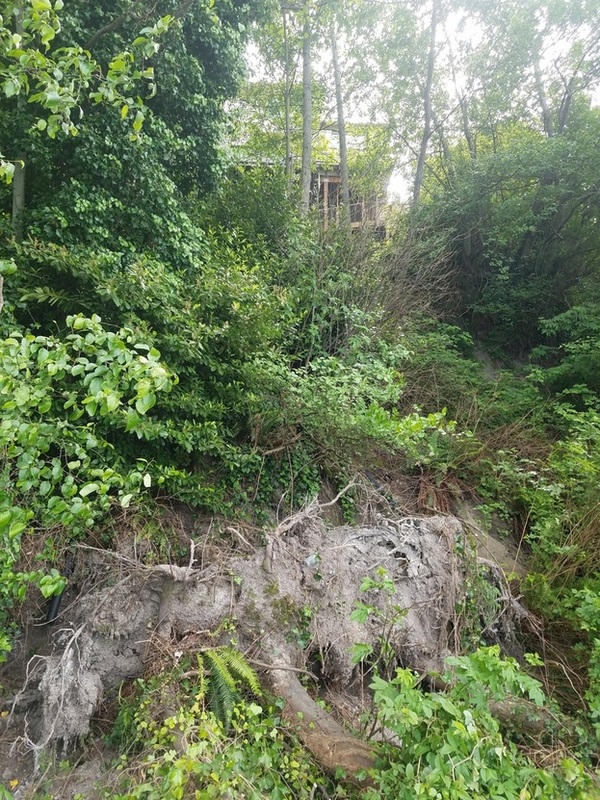 Generally speaking, English Ivy and Blackberry pose very long-term threats to slope stability and other native critical areas. We treat our Blackberry in the summer with a mix of multiple herbicides. We treat our English Ivy in the winter, also with multiple herbicides. These weeds are controllable and we do so every year. A single treatment of herbicide is rarely enough to treat these aggressive, exotic plants. Normal restoration sequencing is 2-4 treatments over 6-24 months. Noxious weeds don’t normally affect ecology on the short-term. On the long-term there exist serious consequences to neglected vegetation and unmanaged weeds. Simply removing the invasive plant doesn’t mean natives will regrow. The Blackberry and Ivy will grow faster and out-compete our native flora easily. By first treating the infested area, then installing native flora, we give the native plants a much higher chance of survival and overall restoration success. We take pride in our ecological soundness. We always take the least toxic and least impactful approach to restoration practices. In 2012, principal John Bornsworth, performed a series of forest landscape surveys in Priest Point Park in Olympia. These surveys represented all 300 acres of the park and their forest maturation, forest species present and native regrowth. 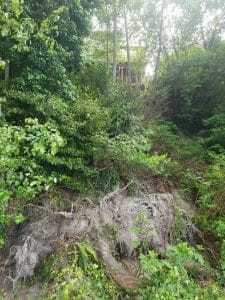 After analysis of the data returned, it was apparent the areas of the Park infested with a thick ground cover of English Ivy were experiencing no coniferous or deciduous tree regrowth. 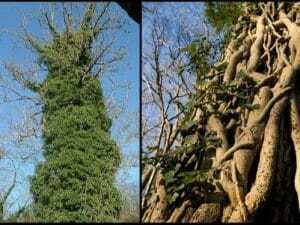 The invasive Ivy practically arrested natural forest succession. In 20-50 years if left unmanaged, the current trees would begin dying and there would be no younger trees taking their place. In 100 years the 300 acre forest could of had very few naturally grown trees. From this data, the Park has begun a program to drastically reduce the presence of English Ivy. Chelsea Drum shares an expertise and a passion for forest ecology and management. Chelsea received her B.S. in Forest Resources from the University of Washington. Chelsea continued her education at the University of Florida, earning a M.S. in Forest Resources and Conservation with a minor in Soil and Water Science. Continuing her graduate education, Chelsea also worked at Virginia Tech in Forest Resources and Environmental Conservation. Her research at UF and VT examined the effects of silvicultural treatments on soil carbon and nutrient cycling. Family and love of PNW forests brought Chelsea back to the Olympic Peninsula.